UPDATE: The engine maker has handed the activist investor a place on its board. After weeks of pressure, Rolls-Royce is has given activist investor ValueAct a place on its board. The San Francisco-based investor snapped up shares in the engineer at bargain prices late last year and now has 10%, and has spent the last few months haranguing Rolls-Royce to give it a seat at the top table. Perhaps having seen what happened to Katherine Garrett-Cox when she stonewalled activist investors at Alliance Trust, Rolls-Royce boss Warren East appears to be taking the conciliatory approach. Today the company said that ValueAct’s COO, Bradley Singer, would join the board as a non-exec, which should calm the waters for now. Why all the argy bargy anyway? RR still managed to rack up underlying profits of more than £1.4bn in its latest results and even a cut in its divi didn't stop its share price soaring. But its fixed costs, say the analysts, are simply too high, and its businesses too diverse. And even allowing for the tricky market conditions, the firm has made some strategic blunders too. Its marine power division has been dismasted by the abrupt halt to investment by many offshore oil & gas customers, and its aero engine business has not been able to pick up the pieces. Airlines have been mothballing older RR-powered aircraft, so income from lucrative maintenance contracts is down. 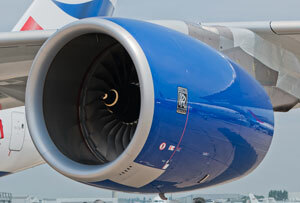 And while the Derby-based firm still dominates the wide-bodied, long-haul market, it has limited presence in the best performing sector of recent times – engines for smaller narrow-bodied short-haul airliners, where rivals GE and Pratt & Whitney are cleaning up. As far as activist investors go, ValueAct is not a bad one to have on your case. Its MO is not to force EGMs and muscle its way into the boardroom looking for a fast buck, but rather to work collaboratively with management to generate more value for shareholders in the medium to long term. So its aims and those of East are not really that far apart - to reduce RR’s cost-base and make better, faster strategy calls to keep up with the market. Without killing the goose that lays RR's golden egg – its technical knowledge and expertise. East has been busily swinging the cost-cutting axe, and he cut the dividend in half last week. ValueAct is thought to favour a sell-off of the marine business. Although it accounts for some 12% of total revenues, it’s a proposal that could also help address some of those challenges. Additional reporting by Adam Gale.